Cleardata provides Document Scanning Services to organisations throughout London. 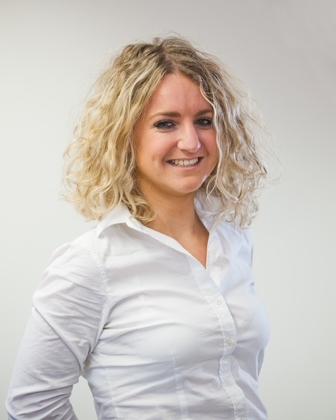 Cleardata's Sales Manager Emma Bryce is our Euston Square Offices. Emma will be happy to visit your premises and provide advice on the best scanning solution to suit your business. Document Scanning is a key service for companies based in London, as office space is charged at premium rates. Emma covers North, East, South and West London. Scanning can help your business reduce costs by re-using space for other key services. Did you kow that two filing cabinets of documents can fit onto one CD? Cleardata's scanning bureau is kitted out with the latest scanning technology, including the latest Kodak i5800 bulk scanners. Quality checking team - all scanned images are 200% quality checked. Documents can also be scanned to BIP0008, the legal level of admissibility for electronically stored documents. Cleardata is accredited to ISO27001, the highest level for Information Security. Premises are protected by biometric entry systems, enhanced fire and water detection and redcare security systems. Staff are checked by Disclosure Scotland and have also been security cleared to NPPV (non police personnel vetting) level 2. Our team are able to scan any image from small format, such as coupons, tickets or receipts up to large format documents e.g. architectural plans, utility drawings or maps. Call Emma Bryce our London Document Scanning Advisor on 0800 046 8081. Emma will be happy to come and have a look at your documents, to find the best scanning solution for your business and work out an estimate. Alternatively you can try our instant quote facility to work out your costs or use the contact form below. Cleardata has clients throughout London and the South of England. Our document scanning collection and delivery services are regularly in the area. Please contact to arrange a visit or collection, e-mail sales@cleardata.co.uk. Secure collection services are available from your London premises.